Macquarie chief Nicholas Moore unfurled an interesting new historical perspective this week when, appearing before the Banking Royal Commission, he praised corporate regulators for doing an excellent job regulating Macquarie. Historical debate is a wonderful thing and it never ceases to amaze students of history how the view of one student of history can differ so starkly from the view of another when it comes to describing the same set of facts. We are talking about enforcement action taken by the Australian Securities & Investments Commission (ASIC) in relation to Macquarie’s Private Wealth (MPW) division. It is the modest view of this student of history that Macquarie was operating like a lawless frontier town in the Wild West. A few years ago an humungous 80 per cent of advisers were found by an internal investigation to have failed to comply with the financial advice rules. There was a courageous and, to this day, secret whistleblower, a whitewash by the bank and a vigorous attempt to bury the whole scandal and ignore the whistleblower. Meanwhile the corporate regulators did their utmost to take zero action until forced, at the 11th hour, to reluctantly endeavour to protect customers. This view is based on the fact that we broke the story. We knew the brief given to ASIC by the whistleblower, even sat in a room listening to a long telephone call where the whistleblower asked ASIC officers, for the umpteenth time, to do something and the officers tried to come up with excuses for doing nothing. When the story broke, the bank went into denial mode, told staff the story was wrong yet refused to cooperate in confirming the facts. That is our reasonably vivid recollection of history, at any rate. 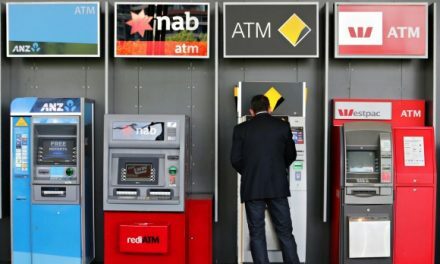 Macquarie chief executive Nicholas Moore has delivered a strong counter argument to the growing support for a regulator that litigates first and asks questions later, after delivering a masterclass on how to run a complex financial institution at the Hayne royal commission on Thursday. Mr Moore thanked the Australian Securities and Investments Commission for bringing the failings of its out-of-control financial advice business to light and said he believed the business was now fully compliant, without the need for costly court action. “With the benefit of hindsight it was fortunate that it was brought to our attention so we could take the steps we did,” Mr Moore told counsel assisting Michael Hodge, QC. Before the story broke, the way the “episode” was handled was a classic of contemporary corporate governance in the banking sector replete with the old “get an independent expert report to say there’s nothing wrong” trick. For years, ASIC and the Financial Ombudsman Service (FOS) had been fielding, and mostly fending off, complaints about faulty advice, breaches of the ‘‘know thy client’’ rule, failures to formalise advice via Statements of Advice (SOAs) and so forth. The bank moved in 2008, however, to address the matter by forming a small team to conduct an internal review. It was called Adviser Solutions and it was distinct from the compliance officers at MPW. What Adviser Solutions found was shocking; a failure rate of more than 80 per cent. That is, some 80 per cent of advisers in the broking house were not in compliance with the industry standards prescribed in the FSRA. Already, this was an industry in a state of flux, struggling to come to grips with a bamboozling new load of red tape. Broking was no longer about long lunches and ad hoc trading calls. Now it was wealth management and formalised advice. For many old-style brokers, it meant cultural sea change. Nonetheless, as executives pondered what to do about the report from Adviser Solutions, it was decided not to tell the regulators. This was a mistake, sources said at the time, as it only raised the ire of ASIC, already inflamed by the bank’s stonewalling over the Storm Financial investigation. Instead, a second report was commissioned. This time MPW went outside, to Ernst & Young Consulting. One insider with intimate knowledge of the advisory debacle said MPW had simply gone ‘‘consultant shopping’’ and bought a ‘‘whitewash’’ which addressed similar but slightly different terms of reference to the previous report. In any case, in 2009, E&Y found there was no compliance failure to answer. With a clean bill of health from E&Y, Macquarie found no reason to tell the regulator when the two parties caught up for their annual chat about compliance. To the question of why Macquarie has evaded scrutiny at the Hayne Royal Commission. Unlike the major trading banks, Macquarie’s clients tend to be sophisticated investors – the type who are often too embarrassed to make a song and a dance about being ripped off. It is a matter of time and resources. The Commission has enough on its hands with the major banks. 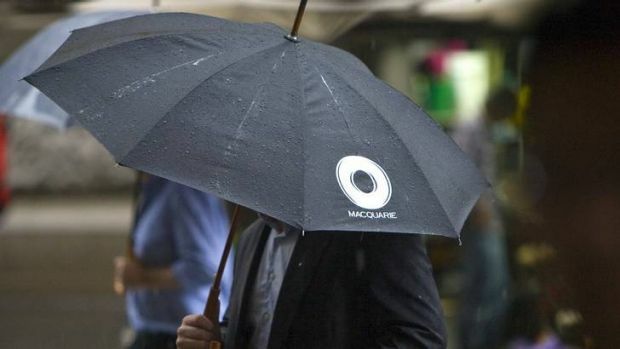 Macquarie’s sights are mostly set on complicated wholesale, rather than retail, schemes. Macquarie is no less aggressive than the others, just focused less on low net-worth clients. This reporter has been fielding Macquarie complaints for many years and has written stories about some of its most fiendish endeavours such as begging the government for help then tipping the $25 billion in sovereign-backed bonds into junk bonds and clipping the difference on the interest rates. Macquarie’s canniness and flair are such that it even managed to swindle a gang of Chinese gangsters in a leasing deal. ASIC and APRA were told about this one too but appear to have taken no action. Of course, the most recent episode of grand flair by the MacBankers is its involvement in the “dividend arbitrage scam” which robbed German authorities of billions in revenue. The supreme irony of this German heist is that Macquarie appears to have been financing the dodgy hedge fund loans for its German scam with money guaranteed by Australian taxpayers. The government rescued the banks with a series of emergency measures during the GFC. One was access to cheap funding backed by taxpayers – a sovereign guarantee. “Beyond what happens with the investigation into Macquarie, however, the case has brought to Australian shores an industry-wide scandal that is estimated to have cost German taxpayers about €10 billion ($16.1 billion). The moral of this story is that Macquarie’s glittering parties are exposed to a very low risk of party-pooping by Australia’s regulators. And so it is that Nicholas Moore may well praise ASIC. ASIC, for Macquarie, has indeed been a superb regulator. It is also true to say that Macquarie did clean up its retail advisory act in the wake of the MPW debacle and the Enforceable Undertakings which were brought, albeit squeamishly, by ASIC.